Government-owned power works for you by achieving reliable and diverse energy generation and regulating distribution rates to the end user. The Tennessee Valley Authority (TVA) was created by Congress in 1933 in order to improve the quality of life for residents in the Tennessee valley. Today TVA, the nation’s largest government-owned power provider continues to serve an estimated 9 million people throughout the valley by providing clean, safe, reliable, and affordable power. Along with providing power, they are also equally focused on environmental stewardship and economic development. Even though TVA is government-owned utility, they receive no tax appropriations from the federal government. They are completely self-funded through the sell of electricity and bond financing. TVA is governed by a part-time, nine-member Board of Directors whose responsibility is to uphold the TVA Act and TVA Bylaws. Nominated by the President of the United States and confirmed by the Senate, each board member serves a five year term. They work with TVA executive leadership to ensure the strategies and policies in place will continue to provide significant benefits to the people of the valley. TVA owns and operates a diversified portfolio of generation assets. This includes nuclear, coal, hydro, natural gas, and renewable resources. In total, these generation assets have a total capacity of 169,000 GWh, delivering to its customers via their transmission system which achieved 99.999% reliability for the 18th consecutive year (TVA.gov). TVA provides electricity to local power companies (LPCs), directly served industrial customers and federal installations, and other off-system utilities in the open markets. 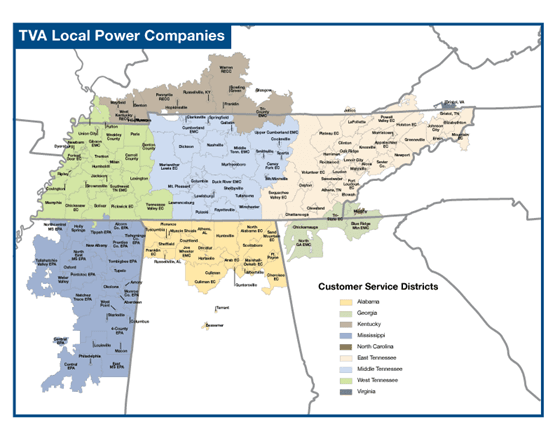 In order to efficiently serve the valley, TVA works in collaboration with 154 LPCs to deliver electricity in a seven-state region to their diverse customer base ranging from residential consumers to commercial businesses both small and large. The LPCs throughout the valley are all public power entities made up of both municipal utilities and electric cooperatives. Each one of these entities is governed locally by either elected or appointed boards. Each LPC has an all requirements power contract with TVA which means they must buy all the power needed to serve their customers from TVA. TVA sets the prices of electricity for their customers based on wholesale cost of service studies. This includes not only the rates themselves, but also the rate structure. TVA is able to do this through the TVA Act which obligates them to provide electricity at the lowest feasible rates. When a change is proposed to the rates, whether it is an increase to an existing rate structure or a complete rate restructure change, the TVA Board must approve this change. TVA is unique in that not only do they set the rates charged to their LPC customers, but they also regulate the retail rates LPCs charge their customers for distributing the power. 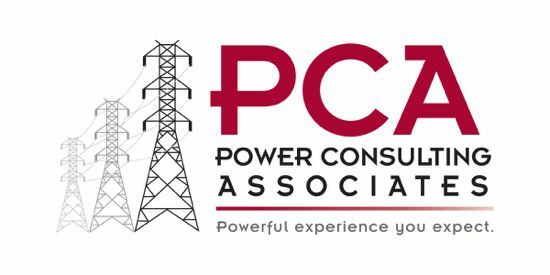 When an end use customer such as a residential consumer pays their electric bill, a portion of that bill goes to TVA for generating and supplying the power to the LPCs, and a portion of the bill goes to the LPC for distributing the power to them. This portion collected by the LPC is referred to as the distribution rate. As things change over time, LPCs may discover that a change needs to be made to the distribution rate. Any changes that a LPC wishes to make to their existing retail rate structures must be formally submitted to TVA through a process called the Local Rate Adjustment (LRA) process. Since TVA also possesses the role as regulator, they must review each LRA request individually and determine if it is appropriate and reasonable before any adjustments to the retail rates are made. TVA’s role as regulator goes beyond just rates. They are also tasked with working with LPCs to make sure that each LPC is adhering to the rate schedule as well as the policies and procedures put in place. They provide guidance on handling over or under billings, classification of customers, and other policy issues. They want to verify that every customer is not being discriminated against and that everyone is treated fairly.